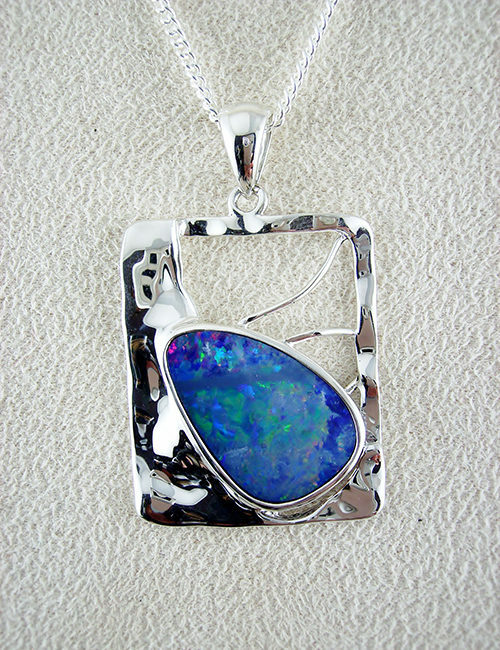 This distinctive Solid Black Opal has a deep blue green base tone that glows and flashes with brilliant emerald green colours in a large pattern. The pendant is set in a classic design with two diamonds in 18ct yellow gold. 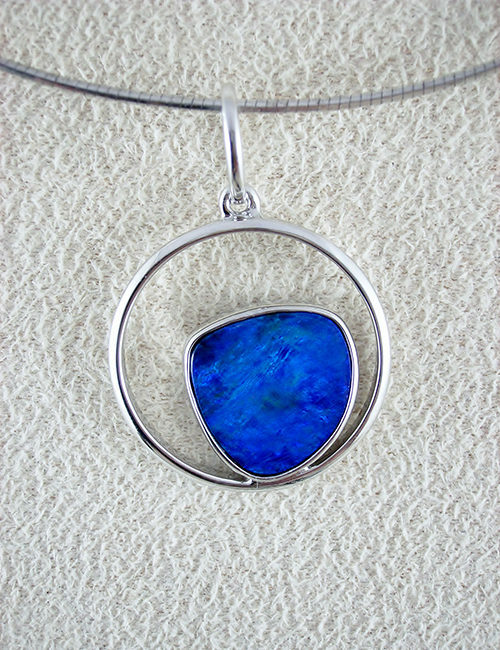 The pendant measures 24mm in entire length with the opal alone measuring 10mm x 12mm. Opal weight…..2.57ct, gold weight…..3.19 gram, diamonds….0.036 ct.